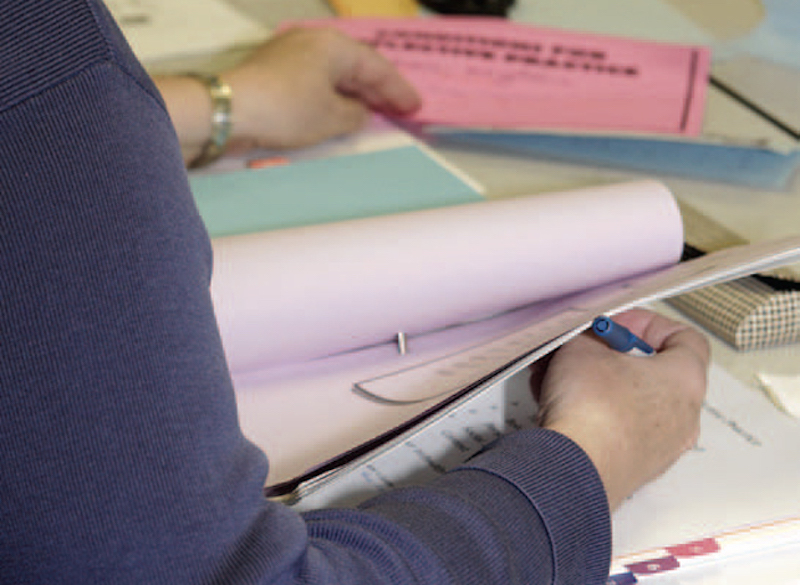 ETFO provides professional learning programs that allow members to conduct in-depth action research. In this article, participants in Reflections on Practice (ROP) and in the Teachers Learning Together (TLT) programs reflect on the impact their involvement had on their students, their teaching practice, and their professional lives. Lyndsay Buehler, a member of the Waterloo Teacher Local, studied the impact of partnered reading in grade 1. Naaznin Jetha Ismail, a member of the Elementary Teachers of Toronto Local examined whether participative classroom management techniques could improve student engagement. Amy Jensen, a member of the Hamilton-Wentworth Teacher Local, investigated the effect of using the Language of the Virtues™ (specific language used in character education) on grade 1 students attitudes to problem-solving in mathematics. Their studies are published in the book Reflections on Practice, Participant Research, Vol. 4. The TLT team of Lisa Johnston, Mae Gatschene, and Mike Crawford conducted their math-focused action research project over two years at Lyn Public School in the Upper Canada District School Board. In the comments below Johnston speaks for the team. ETFO members who undertook action research were sometimes surprised to discover that their work had unanticipated benefits and that these benefits continued after their study had ended. Lasting changes in classroom practice, a stronger professional voice and increased confidence, and a greater leadership role in their schools and locals were among the unanticipated consequences of their participation in the program. A frequent reason for participation in a program like ROP or TLT is the opportunity to network with colleagues from across the province and to learn and grow as a teacher. Participants also had specific pedagogical goals as they chose their research topics. The teacher-researchers used a variety of strategies in their studies: observing students; literature reviews; surveys of students, colleagues, and parents; experimenting with teaching practice in their classrooms; and reflective journaling. Participants found their research produced positive results and changed their classroom practice. "I became more aware of students' needs and motivations and I became more aware of the value of "kid watching." I also recognized the value of taking time to pinpoint why something worked or didn't work and to identify next steps for fixing the problem or continuing with a successful strategy." "We became more in tune with what our students could achieve independently as well as where they needed support. For example, math clinics became part of our practice to support students, much like guided reading and guided writing. We realized that we needed to be more like a coach using students' ideas. We needed to stand back and let students take the lead more. The way we plan, instruct, and assess is now very different. For example, we now ask more questions to guide students to use strategies to find solutions, rather than parachut ing in the moment they have difficulty!" The impact of action research projects has spread beyond the classroom. "Working as a team provided us with constant support, the opportunity to share ideas and responsibilities, the chance to visit each other's classrooms and model for each other. We were able to give each other valuable, focused feedback and keep each other motivated ... We are still a team and we are still using the resources developed together, reflecting on them and supporting each other. We now know that collaboration is not just 'nice'; for us it is necessary." "I grew in my confidence as a professional. As a new teacher, it helped me to demonstrate that I took my teaching role very seriously. Since my involvement in the project, I have taken on more leadership roles within my school, including leading book clubs and serving on committees!" "I was so impressed with the professionalism at ETFO that I wanted to become more involved at the local level. The following year I became our school steward and joined the new teacher committee. When I completed my research with ROP I applied to become a facilitator for the program and was accepted. It has been a fantastic journey to work with other teacher-researchers across Ontario." "Having realized the value of such personal professional growth, I've become actively involved in the Professional Learning Committee of my ETFO local. This year, I'm the committee chair. We're looking for ways to bring action research into our professional development opportunities for our members." " I reconfirmed for myself how important it is for teachers to be learners in the classroom both formally and informally. The wonderful thing about teaching is that there are opportunities to do this. I realized I am a learner and a teacher and that these roles are symbiotic."